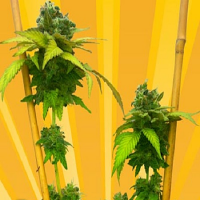 Wicked Widow Automatic Feminized Cannabis Seeds by Bulk Seeds Premium: Sensible Seeds Wicked Widow is a strong auto from the white widow family and produces many dense hard buds with a pungent aroma. As you would expect from this old school favourite the white widow buds are extremely frosty and the yields impressive as well. The Auto Wicked Widow is suitable to grow in most environments and does very well in hydroponic deep water culture systems. 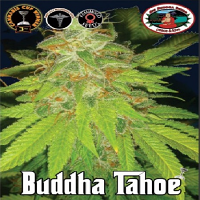 The Genetics are a 40/40 mix of Indica / Sativa, with the other 20% Ruderalis which gives it its autoflowering capability. She is a tough cookie and will fight off mold and bugs... ideal for those more testing environments. Indoors it will typically be ready from seed in about 10 weeks; outdoors around 11 weeks. Sensible Seeds Wicked Widow auto has the taste of fresh citrus pine and the effect is quick hitting - initially a body stone which then becomes a clear cerebral high - Yummy!